The first round of Regional Championship tournaments took place this past weekend, with the Great Lakes, North Central, Northwest, and South Central regions all deciding their representatives at the Club Championships. It was an exciting weekend of action, peppered with just enough upsets to keep things flavorful. 19 bids were claimed across the three divisions, giving us our first look at just who we will be watching in Frisco, Texas. 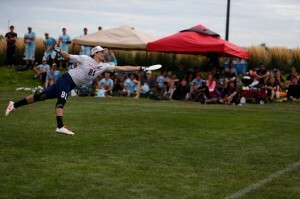 Chicago Machine rolled to another Regionals victory, facing little resistance en route to a 6-0 weekend. Their smallest margin of victory was five points and they dominated Michigan High Five in the finals 15-6. The weekend’s highest profile game — the game-to-go between Columbus Madcow and High Five — wasn’t the same thriller as their Regionals matchup. After a tight first half that Madcow took 8-7, Columbus used a 3-0 run early in the second half to open up a lead that High Five could never narrow. Madcow took the game 15-11. 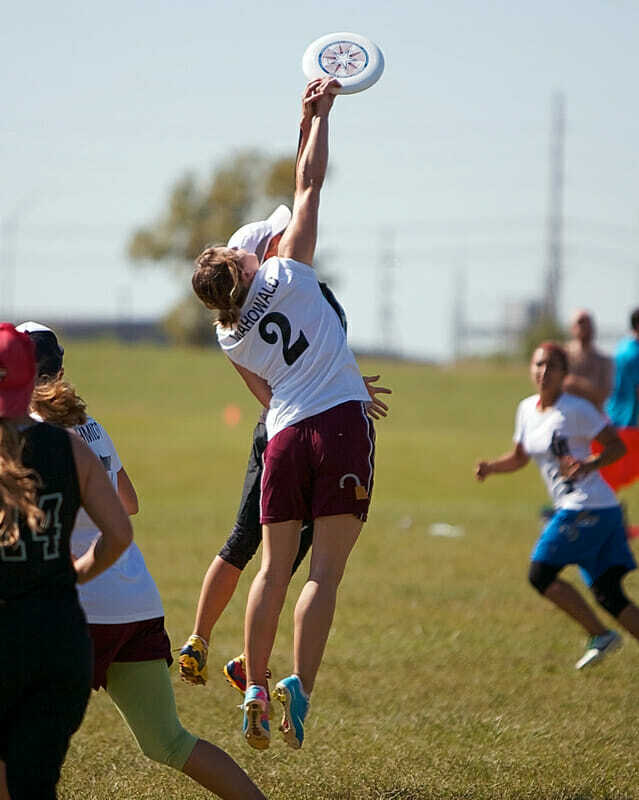 It was a predictably wild weekend in the deep Great Lakes Mixed Division. Things started getting interesting on Saturday after Michigan Underhaul upset Indianapolis Interrobang during pool play. Many expected those two to meet again in the finals. In the semifinals, the two top Ohio teams — Cincinnati Steamboat and Columbus Santa Maria — notched some of the biggest upsets of the weekend by taking down Underhaul and Interrobang, respectively. Steamboat came into the finals with an 0-2 record against Santa Maria, including an 11-9 loss earlier in the tournament. But they continued their outstanding day by jumping out to an early one break lead and holding off a Santa Maria team that refused to go away. At 11-10, Steamboat rattled off two straight to take the victory. 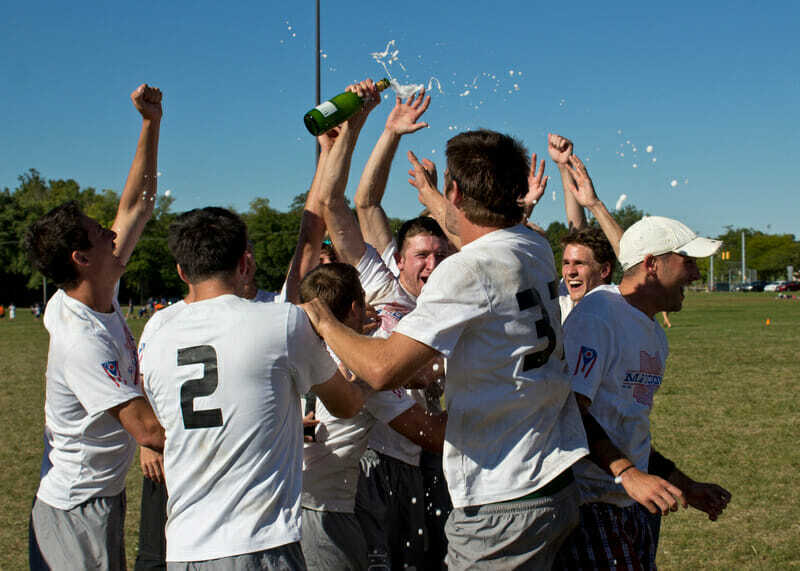 As expected, Chicago Nemesis cruised to victory at Regionals. In five games, they allowed just seven points. They beat Chicago Dish in the finals. A flawless 7-0 weekend for Sub Zero sent them back to the Club Championships. They had just two relatively tough games — one against Kansas City Prairie Fire in pool play (13-9) and one against Madison Club in the finals (15-10). Against Madison, Sub Zero came out hot and opened up a 5-1 lead, stifling any hope that Madison had to notch the upset. Madison’s slow start was perhaps due to their semifinal battle against Prairie Fire. Prairie Fire was up 13-10 in a game to 15 and had been in control of the entire contest. But Madison Club, digging deep, pulled out a 4-0 run to take the lead and, after a Prairie Fire score to tie it at 14-14, Dave Wiseman hit Tom Coolidge for the game winner. Sub Zero pounced on a tired Madison team that could never recover from the early hole in the finals. Chad Larson Experience had some tough games along the way, but they rolled to another Regionals victory with a 15-12 win over Minneapolis Bird in the finals. CLX’s usual finals competitor — Drag’N Thrust — had to play through the back door after a surprise loss to Bird during pool play. Drag’N had little resistance getting into the game-to-go, where they easily avenged their loss to Bird with a 15-7 win. 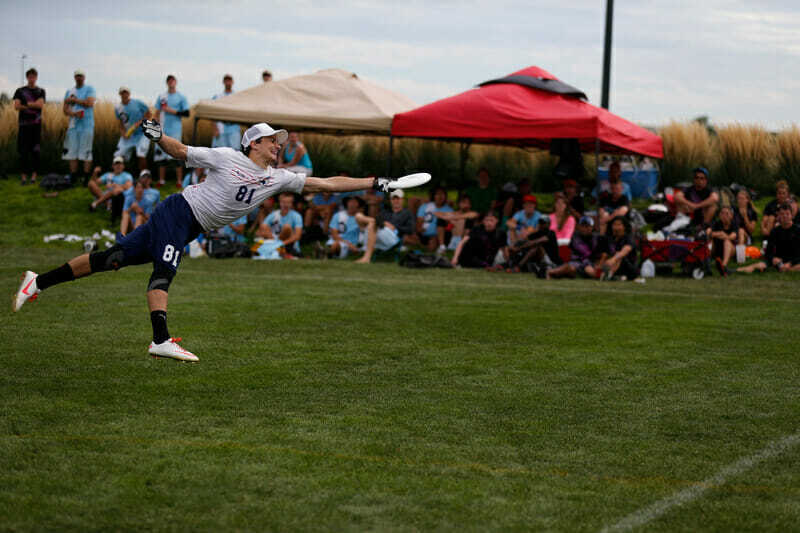 Minneapolis Pop put up a good fight, but Madison Heist still easily qualified for the Club Championships in their second season with a 15-8 win in the finals. 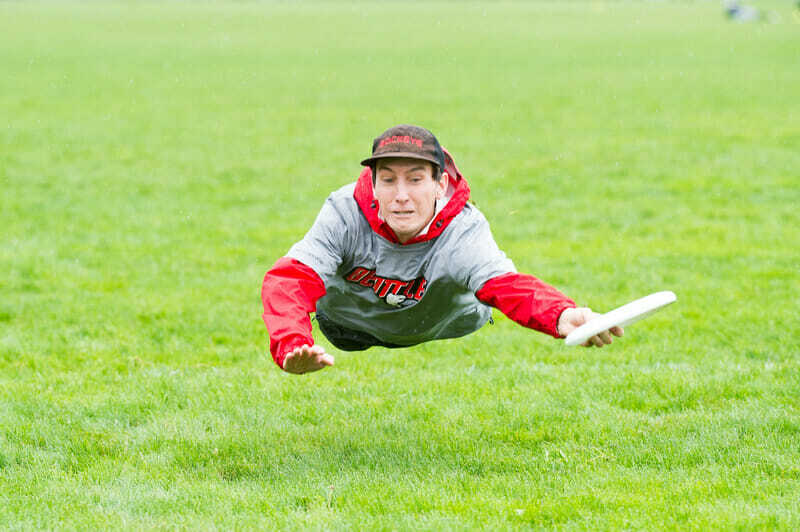 The Fish remained the kings of the Northwest, beating Seattle Voodoo in the semifinals 15-11 — their closest game of the weekend — and topping Furious in the final, 15-9. With heavy winds and sporadic rain, the backdoor drama matched up two teams hoping to return to the Club Championships: Furious George and Rhino. Both teams experienced unusual journeys in the regular season to get to this point, but now all that mattered was their play. Rhino, coming in off a 15-9 win over Voodoo, was unable to keep up with the Monkey. Vancouver advanced to Texas with a 15-11 victory. #1 seeded The DOH Abides made an undefeated run through Northwest Regionals, with their closest margin of victory only five points. They were pitted against Missoula Mental Toss Flycoons in the final, who had just smashed #2 seed Portland Engine 45. Seattle claimed the win that game 15-10 to land a spot in the nationals field. 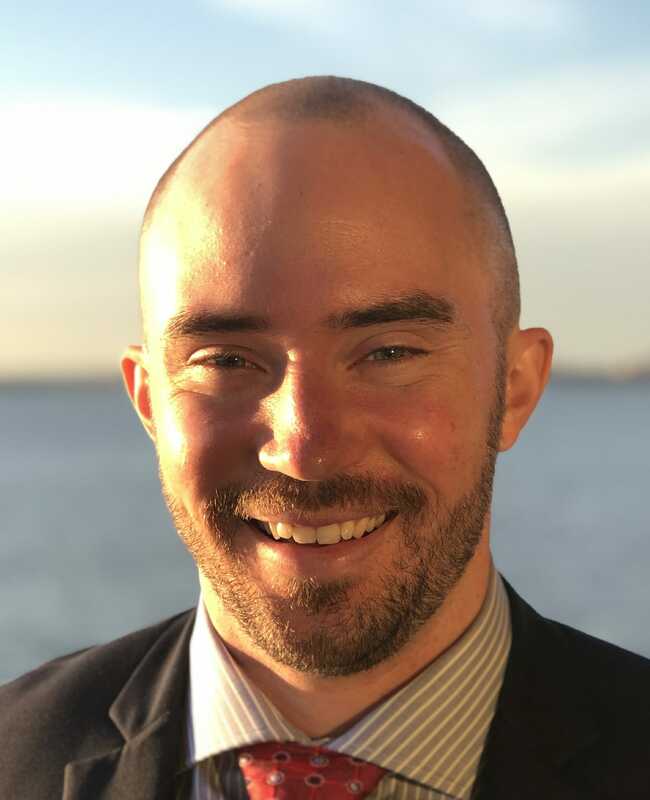 The top three seeds all advanced to the Club Championships, but it wasn’t all chalk in the intense winds and rain of Burlington, Washington. Saturday yielded exciting upsets. #4 seeded Seattle Underground beat Schwa in the tournament’s opening round, 13-9. Later in the day, Traffic scored an exciting win over Riot, 15-14. Vancouver jumped out to a 3-0 lead, but Riot brought it back tight, and it remained close throughout. Seattle got a look at the end zone on double game point, but overthrew it, and Traffic’s offense marched the other way to win. Unfortunately for them, neither team would repeat their antics Sunday in the oppressive weather conditions. Riot had the last laugh against Vancouver, dominating Traffic 15-7. In the game to go, Schwa enjoyed their revenge on Underground, 11-9. In their much anticipated battle for the region, Doublewide just barely edged out Bravo 15-14 in what was reported to be an excellent, intense matchup. Both squads won all of their other games, though Austin had an early scare in their first round game against Space City Ignite. In the backdoor game to go, Bravo struggled early, but eventually took care of business versus Inception, 15-10. A strong weekend for #1 seeded Cosa Nostra, who defended their title and returned to the Club Championships. The surprise came in Pool B, where top seeded Boulder Love Tractor was upset not once, but twice. They’d finish 4th in the pool, setting them up for a quarterfinal with Cosa Nostra that threatened to derail the bracket. Austin pulled that one out, 14-12 and cruise from there, including a 15-2 win over RUA in the final. Love Tractor plummeted to an 8th place finish. In a matchup that’s been tight all season, #2 seeded Austin Showdown got a pair of statement wins over Molly Brown on their way to an undefeated regional title. Their Saturday meeting was a well contested 11-9 affair, but Showdown rolled through the final, 11-4. Molly Brown toppe Jack Wagon in the game to go. 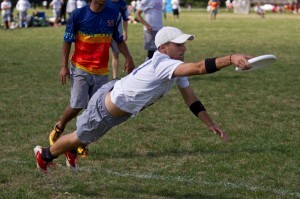 Comments on "Weekend Update: Club Championships’ Fields Beginning to Take Shape"